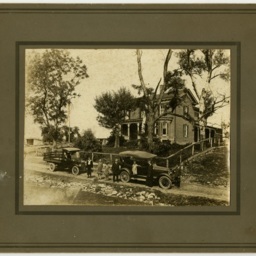 Photograph labeled "John Paul Williams Farm." 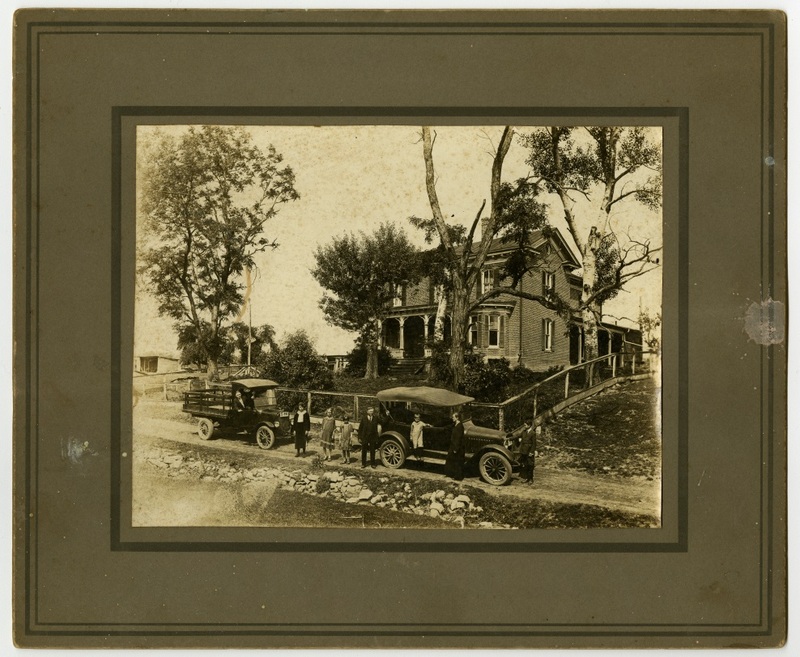 Image shows group of individuals in front of a brick house posing with a car and truck. The location of the farm and identities of who is in the picture in unknown. Folder 35: Wilkins Family Photos, General Collection, Shenandoah County Library, Truban Archives, Shenandoah County Library, Edinburg, Virginia. Unknown, “John Paul Williams Farm,” Shenandoah County Library Archives, accessed April 22, 2019, http://archives.countylib.org/items/show/12352.